The contestants for the 2013 Unionville Fair Queen Pageant. Queen candidates are signified by (Q). Back row left to right: Aubrey McLaughlin, Carly Rechenberg (Q), Taylor Thornton, Jackie Choffo(Q), Catherine Stookey(Q). Front row left to right: Sarah Taylor, Mia Maufort, Helen Nichols, Shannon White. EAST MARLBOROUGH — The Unionville Community Fair Queen and Princess Pageant, the traditional kick-off event for the Unionville Fair, will take place Thursday, Sept. 26, at Unionville Elementary School at 7 p.m.
As usual, the contestants are split between Queen contestants and Princess Contestants, with the winner of the Queen pageant representing the Unionville Fair at the State Fair Queen Pageant in January, 2014. The Unionville Community Fair Queen and her Court share a unique opportunity to promote our Fair and agriculture, as well as an opportunity to experience personal growth and development. 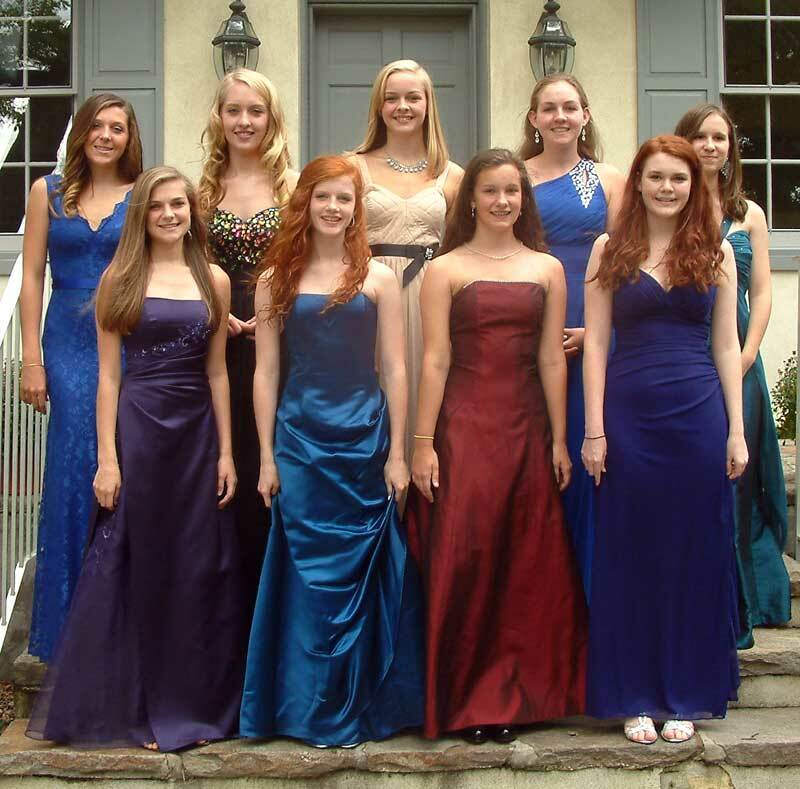 Each winner will receive Scholarship money and the contestant that is crowned queen will go on to the Pennsylvania State Association of County Fairs (PSACF) Queen contest in Hershey, PA in January 2013.